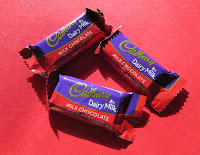 Welcome to Day #3 of Cadbury Chocolate Theme Week. 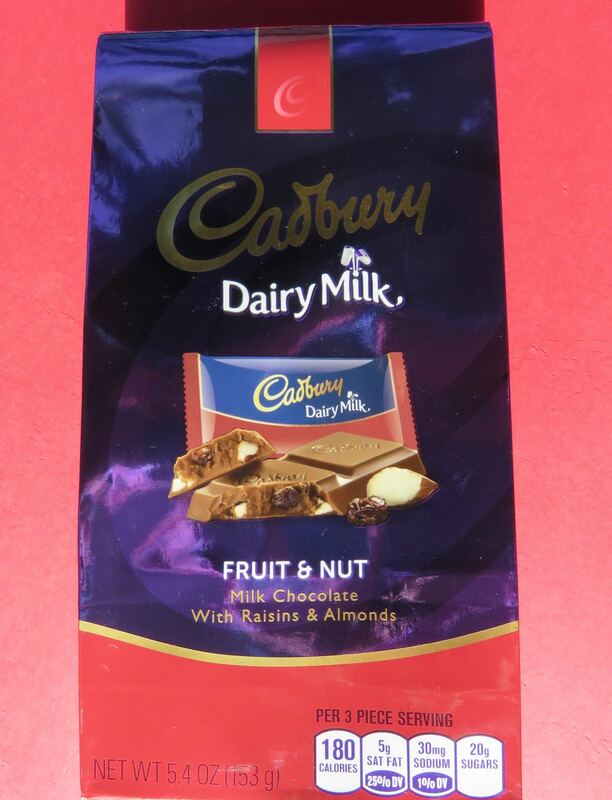 Today's package contained individually-wrapped small Cadbury Fruit and Nut milk chocolates (from Mondelez International/U.K.*). 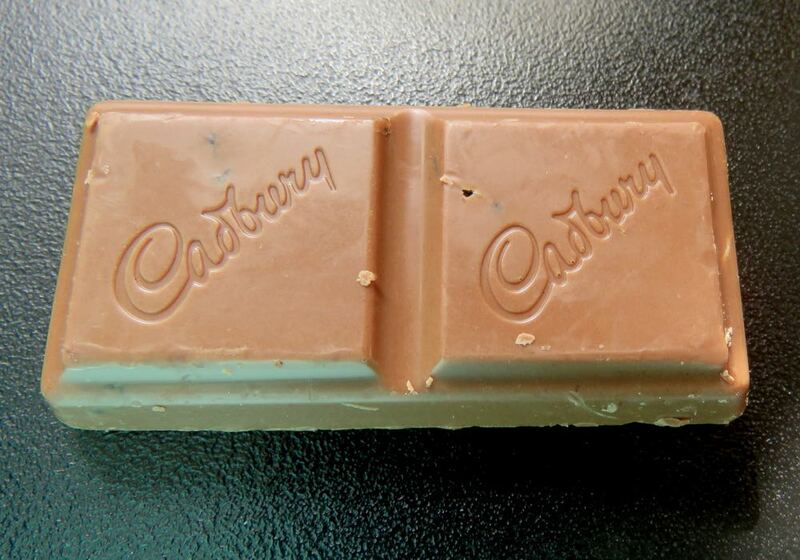 It's hard to write about long-lived, large companies like Cadbury without delving into history. Like many purveyors of cocoa in the early 1800s, John Cadbury and his brother started with tea, coffee and drinking chocolate. Chocolate bars came later. 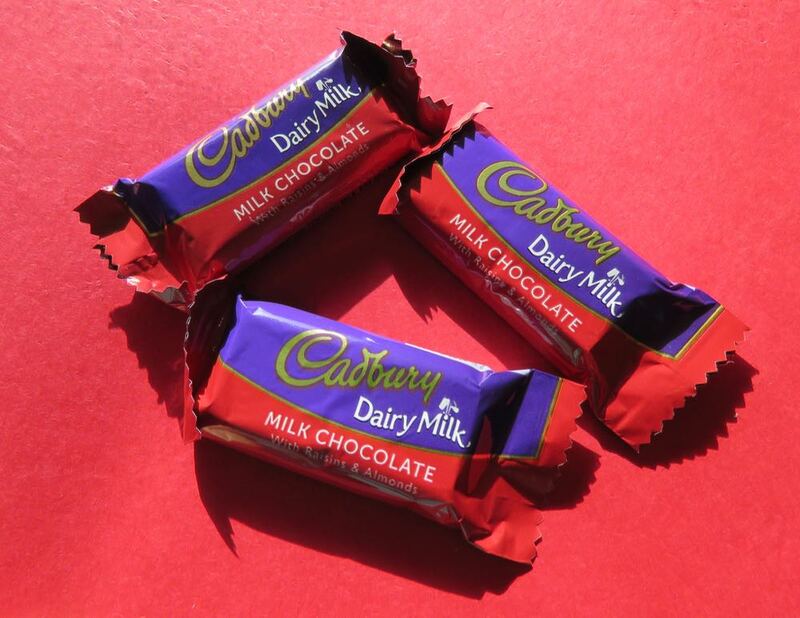 And today's milk chocolate bar as we know it was not perfected yet; although the Swiss, French, British and others (including, later, Milton S. Hershey in the U.S.) were all vying for the a milk chocolate formula that would result in a viable milk chocolate bar. 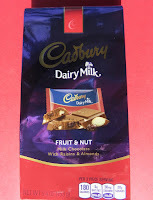 Interestingly, today's product was distributed in the U.S. by The Hershey Company (Hershey, PA), under license from Cadbury UK Ltd. Hershey founder, Milton S. Hershey, traveled to Europe and the U.K. and would have seen what the Cadburys were doing. Hershey's development of a "model town", and boys school in Hershey, PA was likely modeled, at least in part, after Cadbury worker housing and other community projects for less well-to-do citizens. *Mondelez International (formerly known as Kraft/Kraft Foods) has owned the British confectionery company since 2010.